President Donald Trump campaigned on anti-war talking points, but a recent hawkish turn has not hurt him in the polls. Quite the opposite: recent figures show the Democrats’ lead melting ahead of the 2018 midterms. A CNN poll of registered voters this week showed Democrats at 44 percent to the Republicans’ 41 percent in a generic congressional ballot. The three-point advantage is within the poll’s margin of error. This is down from a six-point Democrat lead in March and a 16-point lead in February. One of the reasons for this could be that Trump has doubled down on good old-fashioned American warmongering. He has appointed notorious warhawks Mike Pompeo as secretary of state and John Bolton as national security adviser. He has ripped up the Iran nuclear deal. He’s even unleashed a torrent of missiles against the Syrian Arab Republic. Remember the #Resistance, those protesting Trump at every turn and taking cues from Hillary Clinton? They agree with Trump on very few things ‒ but bombing Syria is one of them. “I really believe that we should have, and still should, take out his airfields and prevent him from being able to use them to bomb innocent people and drop sarin gas on them,” Clinton herself said in April last year, after Trump launched the first quiver of Tomahawks against a Syrian airbase. Even CNN, the network Trump has branded as “fake news,” is with the president when he’s on the warpath. “I support President Trump’s use of American military power this week,” host Fareed Zakaria said during the Syria strikes last month. His colleague Wolf Blitzer countered war critic Senator Rand Paul (R-Kentucky) by arguing that ending support to Saudi Arabia’s war on Yemen would cause a “significant loss of jobs and revenue” to defense contractors. “There’s a lot of jobs at stake,” Blitzer said. 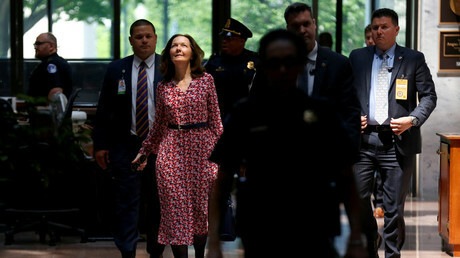 Many Democrats are speaking out against Haspel, but as long as two of them vote in favor, she looks likely to be confirmed. She already has the support of one, Senator Joe Manchin (D-West Virginia). 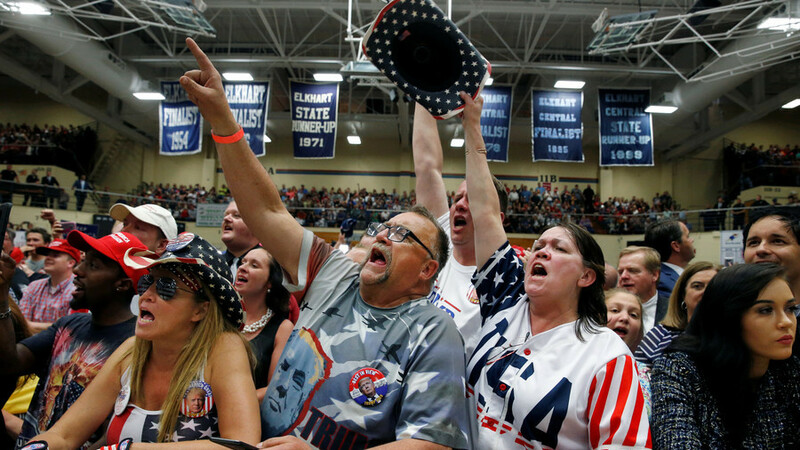 While opposing war and torture might win Democrats some support in liberal enclaves, in red states, among conservative-minded Americans, these hardline Pentagon policies are crowd-pleasers, not scandals. When the media and politicians are telling Americans that war is good for business, don’t be too surprised if you see public support for war in the US. Recall how the media drove support for the US invasion of Iraq back in 2002 and 2003. Trump campaigned on anti-war talking points, but polls show that his hawkish turn hasn’t really hurt him among the public. While there seem to be a lot of Americans who are tired of war, there is a pretty solid core of folks who believe that cruise missiles keep them safe and that “America First” should refer to military strength.